Grab your audience’s attention and increase their engagement with intelligent video analytics technology. Edge Analytics Appliance creates impactful video presentation content which previously would have required significant time, expense and human resource to produce. 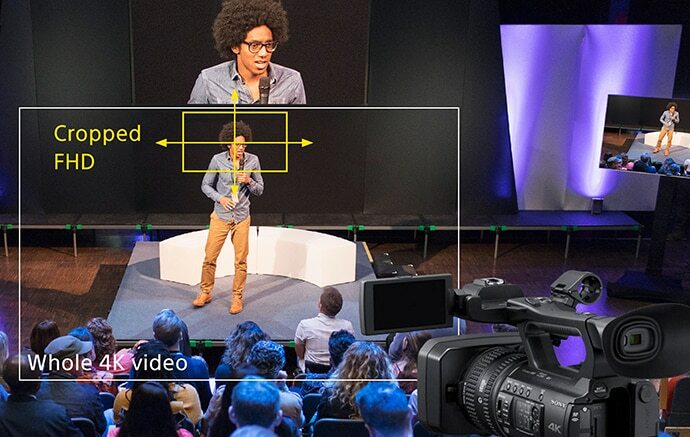 With Artificial Intelligence-led technology, the REA-C1000 vastly improves the quality of communication by empowering the presenter to deliver content and to engage their audience like never before. After a free 60-day trial period, each feature can be activated permanently through separate licences, providing users with the freedom to customise features based on their individual needs and budget. 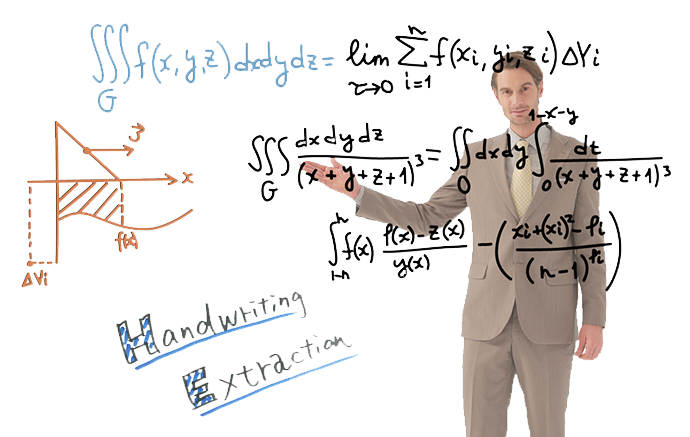 No matter where the speaker is standing, the handwriting extraction feature ensures that any words and diagrams written on a board or screen remain in full view to the audience – via AR (augmented reality). 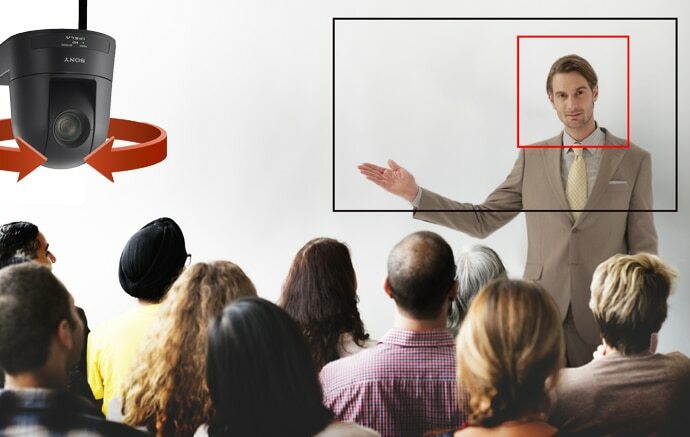 Even if the speaker is standing directly in front of the board, their ideas, thinking process and even their animated presentation is all accessible to the audience. It’s also easy for remote viewers and those playing back the presentation at a later date to become immersed in the content too, as the presenter is overlaid and the content is never compromised. The Chromakey-less CG Overlay feature enables the presenter to deliver impactful supporting content, in real-time without a dedicated studio or specialised content creators. Users can autonomously create specific animated imagery, still pictures and supporting graphics, which provide an easy backdrop to their presentation. AI-driven automatic control of output image offers hassle-free shooting and efficient workflow to meet increasingly difficult and diverse shooting opportunities. The REA-C1000 can accurately and smoothly track a presenter, to ensure they stay in focus and within the frame throughout their presentation. This feature offers users a cost-effective tracking solution in an education, corporate or conference setting, without having to invest in a camera operator. With Focus Area Cropping, an image from one camera can be simultaneously shown as two different output images. The user can choose to select a cropped image from the main still 4K image. What’s more, the cropped area is selectable to be static or dynamic to follow the speaker’s movement. This feature will be made available through a future software update later in 2019. REA-C1000 technology can detect and react to the gestures of audience members participating in your presentation. 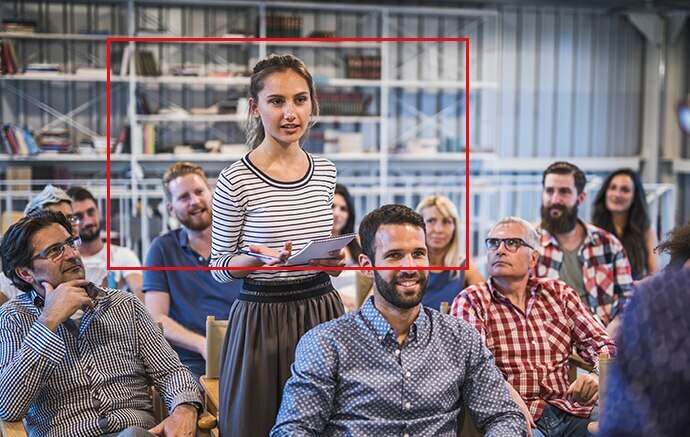 For example, when an audience member stands up, the REA-C1000 can trigger the camera to electronically auto-zoom in to that person, which is particularly useful in education environments to measure students’ reaction and in corporate presentation settings such as during a Q&A session. 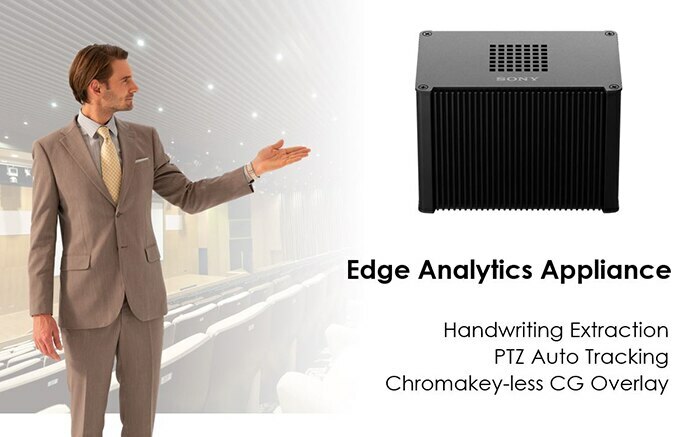 Ideal for a range of different uses, our Edge Analytics Appliance can revolutionise the way presenters can interact and deliver content to their audiences. Our REA-C1000 Edge Analytics Appliance unit is compatible with our network cameras, and these can be connected to the software box to capture the live presentation. The Edge Analytics box transmits the video images captured by the camera – straight to the display or recording device. This enables the in-built handwriting extraction technology to be used easily without any distraction to the presenter. Crop the static area of the whole view at once. [EDID] : Automatically determine and output a video image that is compatible with the connected output device.